If you appreciate lush and green surroundings you have come to the right place in an exclusive Kailua neighborhood. Kapakai Cottage is a newly renovated modern island style apartment on the second story of our home in Kailua. There are beautiful mountain views all around. The balcony, bedrooms and living room overlook the lush Koolau mountains. The apartment is located in a quiet neighborhood, about a five-minute drive from Kailua town and beautiful Kailua/Lanikai beaches. There is a king size bed in the master bedroom and a queen size bed in the second bedroom. We also offer a pack'n play and portable crib for a infant. The bath has an entry to both the living room and the bedroom. The kitchen is fully equipped with a cooktop stove, oven, refrigerator, and microwave. The bath has a jacuzzi tub, which can also be used as a shower. Wireless access, cable TV, and DVD/VCR, are also provided. The Apartment provides central air conditioning that will cool the entire apartment, both bedrooms and the living/kitchen area if needed. There is plenty of ventilation with ceiling fans in both bedrooms and in the living room in case you prefer to open the windows. There are beach accessories and bicycles available for your use at no additional charge. The bicycles are "beach" bicycles, so they are a little rusty and used but they will get you around Kailua town and to the beach. 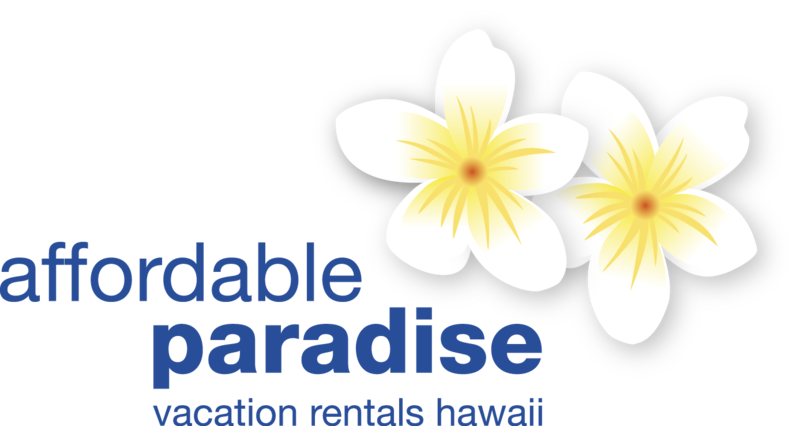 Located about 20 minutes from Honolulu, Waikiki and Hanuama Bay and Pearl Harbor. This property is very well situated not far from the scenic routes taking you to the North and South Shores where you can enjoy the magnificent Hawaiian coastline. Kailua is a very charming windward beach town where you will find the residents most pleasant and helpful. Kailua offers many restaurants and shops. Golf courses, tennis and water sports such as windsurfing, para-sailing and kayaking. On the windward side you can also enjoy a day at Sea Life Park, encounters with animals at Kualoa Ranch and some amazing hiking. Aloha, leider fällt unser Commentar nicht positiv aus. Bei der schmuddeligen Eingangstür haben wir noch beide Augen zugedrückt, und waren erst einmal beeindruckt von der Geräumigkeit der Suite und der Aussicht über das dicht besiedelte Stadtviertel auf die Pali. Wir hätten dann gerne die Schiebefenster geöffnet, aber etliche davon drohten bei der geringsten Berührung heraus zu fallen. Reparaturbedürftig war noch einiges mehr. In der Kaffeemaschinen fanden sich eklig verschimmelte Reste und im Schlafzimmer auffällige Staubschichten. Im Bad würden ein oder mehrere Haltegriffe, wie sie inzwischen weltweit in Privatunterkünften und Hotels obligatorisch sind, mehr Sicherheit und Comfort gewährleisten. Auf dem schönen Balkon befand sich außer einem kleinen Tischchen nur ein einziger Stuhl bei Dreierbelegung! Wir haben außer Kaffee und Tee nicht gekocht aber gerne zum kalten Frühstück Früchte genossen. Mit den wenigen, stumpfen Messern wurde das Zerteilen einer Ananas jedoch zu einer abenteuerlichen Herausforderung. Nachdem unsere Unterkünfte auf Maui und Big Island überreichlich mit allen kleinen Küchenhelfern und Elektrogeräten ausgestattet waren, gibt es hier nur die Bewertung "poor". In den anderen Unterkünften fanden wir auch comfortable Strandliegen vor, hier leider nicht. Sorry, aber wir würden dieses cottage nicht wieder wählen und auch nicht empfehlen. In Kailua scheint zu jedem Haus ein Hund zu gehören, und anhaltendes Gebell allnächtlich stört die Nachtruhe erheblich. Die Nächte auf den anderen Inseln waren dagegen sehr ruhig. Convenient and clean! Thanks for a great stay! We really enjoyed our stay at the cottage. The rooms and beds were nice, the living room was open and bright, and the kitchen was new. Parking out front was always available and it was just few minutes drive to Kailua and Lanikai. The AC kept the place cool and was key as it gets a lot of sun in the late afternoon. Everything was quite easy for us and all instructions were straightforward and thorough. We’ll look to book here again whenever we come back to see family. My husband and 20 month old son stayed at the Kapakai Cottage for a week while enjoying the island of O'ahu. It was a great place to call home for a week. The kitchen was sufficiently stocked to cook basic food, the living area was comfortable and all of the rooms had air conditioning for the nights we needed it, though the island breeze was actually really nice most nights. We also really appreciated that they provided a pack n play, beach chairs, bucket and toys for the sand, among other beach equipment. 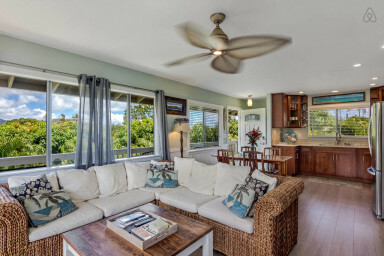 The location, while not directly on the beach, is a 5-10 minute drive to all areas of Kailua, including the beach, so we thought it was conveniently located. Sandra, the owner, was very responsive whenever we had questions, but otherwise, she and her family respected our privacy. I would be happy to recommend the Kapakai Cottage to others traveling to Kailua. © 2019 www.affordable-paradise.com. All rights reserved.